The smallest and newest member of the Jeep family has been on the market for 4 years now. Jeep decided it was time to update the Renegade, and have made many exciting new changes for 2019. The Renegade has received a new grille design, with sharper and slimmer edges. The overall look of this vehicle is more modern, with its lower front fascia getting a fresh appearance. Moving around to the back, you will notice the 2019 has new tail-light LED clusters in a new, revised X-pattern. This stylish feature is a throwback to the Army Jeeps of days past. New fog lamps and headlamps make an appearance with LED lighting. For the very first time, Renegade drivers can have 19-inch wheels if they go with the Limited trim. The interior console did not see much change but was tweaked a bit. You will find a smartphone holder and slightly redesigned storage and cup holders. Drivers will now find their extra USB port at the back of the center armrest. The newest generation of UConnect will come standard. The size of the screen ranges from 5 to 8.4 inches, depending on the trim level you go with. Safety features have been added for the 2019 Renegade. Coming standard will now be Intelligent Speed Assist with Traffic Sign Recognition as well as LaneSense Departure Warning-Plus. The engine options for 2019 may be the biggest story. Drivers can choose between a 180-hp, 2.4-liter I-4 engine or a 1.3-liter I-4 engine, depending on the trim they go with. The Sport and Latitude Trims come with a 9-speed automatic transmission w/OD. Those who go with a Limited or Trailhawk trim will get a 9-speed automatic transmission w/OD and auto-manual. Both the Sport and Trailhawk trims are only available in 4×4 versions, where the Latitude and Limited will have both 4×4 and 4×2 options. 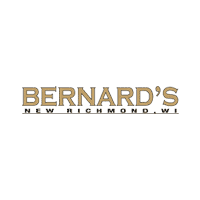 The knowledgeable and friendly sales staff here at Bernard’s Northtown CDJR dealership look forward to answering all of your questions. We would love to take you for a test drive of the all-new 2019 Jeep Renegade and show you all of the things we love about it. Customer satisfaction is always our number one priority and we appreciate you letting us be a part of your quest for your next vehicle.